Are DC Gearing Up To Retcon Their Biggest Mistake? 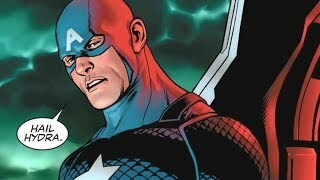 Prepare to say goodbye to the New 52 - or what little of it remains. Joshua Williamson and Howard Porter's Flash #47, which kicks off DC's titular Flash War event, hit the ground running this week. 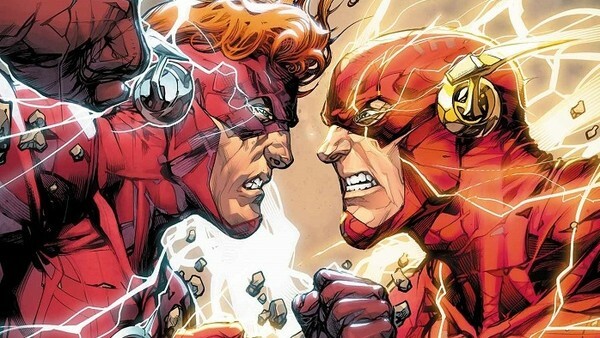 Though hero vs hero storylines have worn somewhat thin in recent years, what with all the Civil Wars, Injustices and Batman v Superman's floating around, Williamson and Porter's comic looks set to air a genuine grievance between DC's foremost Scarlet Speedsters - Wally West, and Barry Allen. Fans won't need reminding that DC's continuity in the last few years has been a tad... confusing, to say the least. The publisher's 2011 reboot - The New 52 - pretty much wiped the DCU's entire slate clean in an attempt to galvanise a floundering universe, and while it did just that, fans of the older continuity were chagrinned to discover that all the growth, development and characters they'd come to love simply no longer existed. One such character was Wally West, who only recently returned to DC continuity by literally fighting his way into the timestream in DC Rebirth #1. Regardless, Rebirth, for the most part, has found a balance between old and new. The Burbank publisher has gone from strength to strength since 2016, and with another couple of months of undoubted success having typified their 2018, it's likely that they'll end this year on a high note too. That doesn't mean that no one thinks of the old continuity though, and with Flash War set to address those memories head on, with Wally West getting visions of his old life with his wife and children, the arc's importance could yet get bigger.